1930's Stained Glass Front Door with arched panel. The stained glass panel is in the Art Nouveau style . 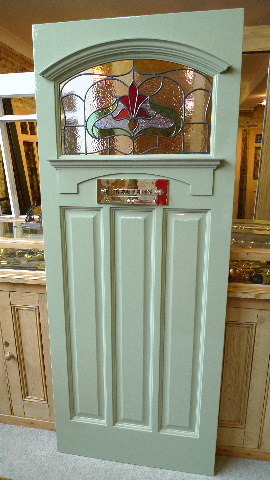 The door has been painted with litchen green gloss and has a nickel plated letterplate with clapper.